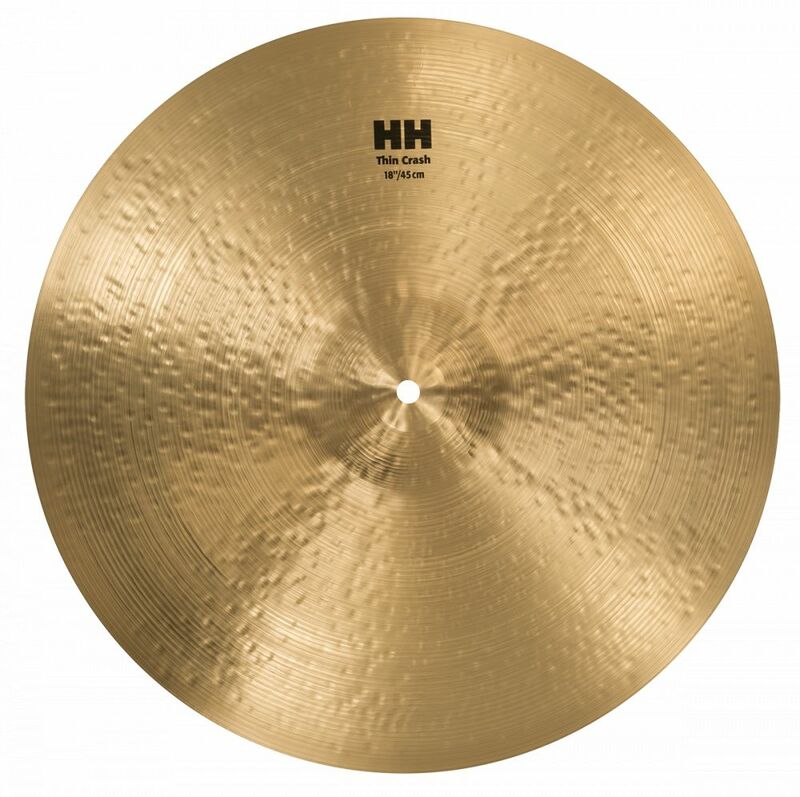 The full-bodied and very musical response of our SABIAN 18" HH Thin Crash is low, dark and warm, with rapid decay. The full-bodied and very musical response of our SABIAN 18" HH Thin Crash is low, dark and warm, with rapid decay. SABIAN introduces HH Remastered – with more hammering, more complexity, and more tone. As a result, HH Crashes sound thinner and more musical. Much like a remastered classic album is taken from the great to the sublime, HH Remastered adds complexity and tone to each cymbal, delivering unmatched sonic texture across the entire line.